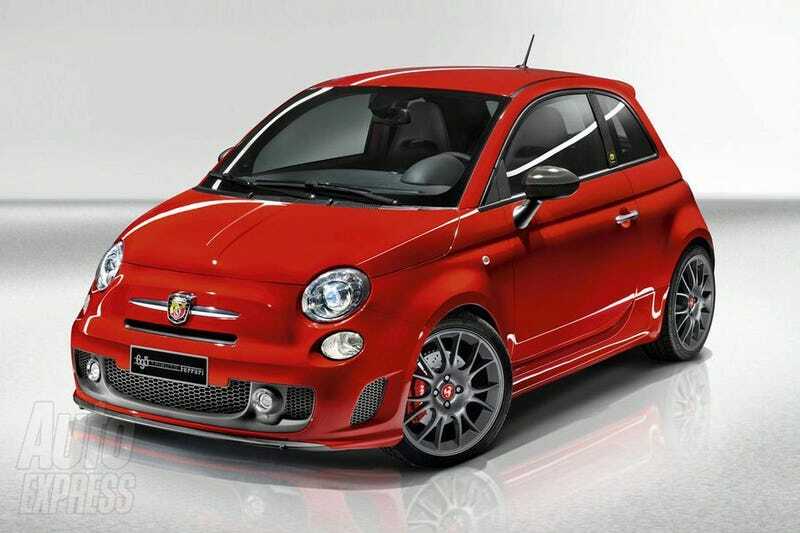 695 Tributo: Ferrari Builds A Fiat 500! Ferrari and Fiat's performance division Abarth have partnered together for a surprise Frankfurt Motor Show unveiling — a limited edition Fiat 500 they'll call the 695 Tributo Ferrari. So, um, when did Ferrari become Fiat's new tuning shop? The car aims to bring new meaning to the term hot hatch. For starters, the 695 will come in the traditional Ferrari color of Scuderia Red and performance gets boosted with a 1.4-liter turbocharged petrol/gasoline engine dialed up to 180 HP mated to an F1-style 6-speed transmission with paddle-shift function. Suspension tuning will compliment the increase in power and a set of red Brembo brakes will sit behind the 17-inch alloy wheels made special for the occasion, referencing classic Ferrari design.